I absolutely love being weird with you. You know when you meet someone you really like or love.. Someone you can be yourself with.. Someone you can be weird with? That amazing and fun feeling of being weird together with your boyfriend or girlfriend? This quote is all about that..
That amazing feeling of being able to be wierd with someone you really like or love. If you love being weird with your girlfriend, boyfriend, husband or wife, then make sure you make him or her smile by sharing this quote! And don’t forget to sign up to our FREE newsletter! 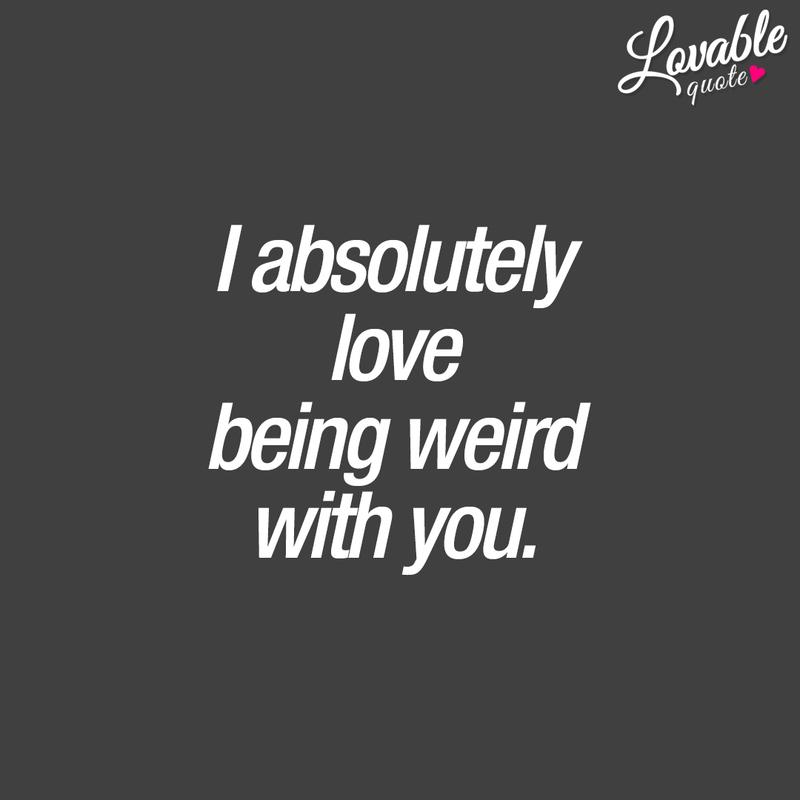 This “I absolutely love being weird with you” quote (text and image) is copyright © Lovable Quote 2018.